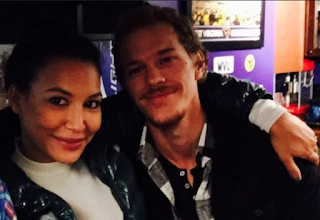 Back in October actress Naya Rivera called off her divorce to actor Ryan Dorsey [click here if you missed that]. According to reports Naya Rivera filed for divorce this week, after being arrested for assaulting her husband over the Thanksgiving holiday [click here if you missed that]. Naya has retained attorney Laura Wasser and cites irreconcilable differences as the cause for divorce. Naya and Ryan have one child together. In response, I would file "IDFWU" as the subject in my statement. She's looking very Kylie Jenner-ish in the face.